The Corn Hill Arts Festival celebrated a milestone this past weekend, marking its 50th anniversary. 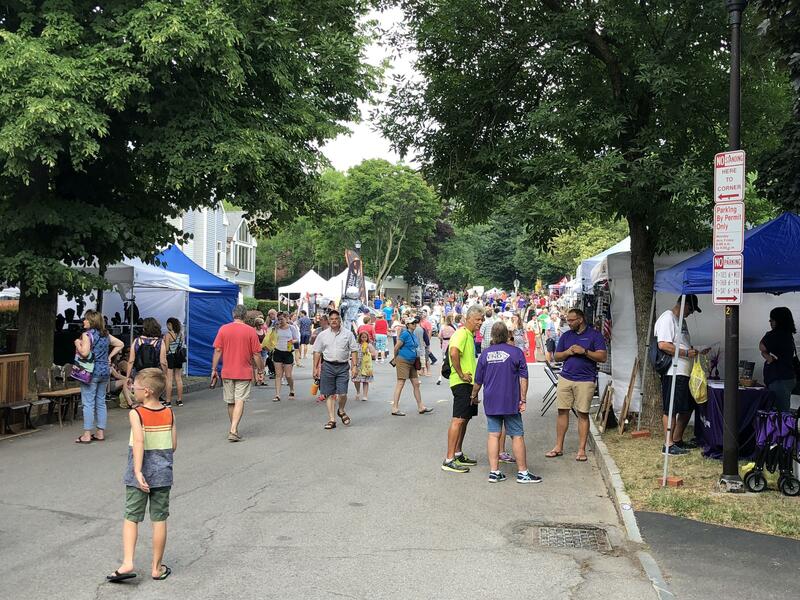 Thousands of people didn't let the hot, humid conditions over the weekend keep them from trekking through the streets of Rochester's Corn Hill neighborhood over the weekend for the annual arts festival. There were rows and rows of artists and vendors, some of them only trying out this festival for the last few years, but others, like Bill Kent of Amsterdam, New York have been coming to Corn Hill for a long time. 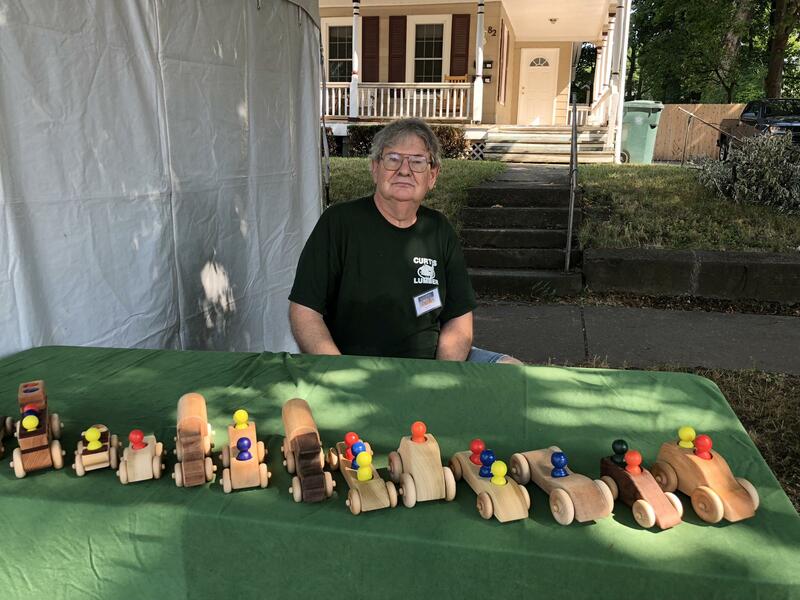 Kent, who makes children’s toys with hardwoods, has been coming to the festival for 25 years. Chargles Agel of Falls Church, Virginia, only started taking part a couple of years ago. He makes jewelry, and he’s glad this event is a juried festival, where the vendors have to allow their works to be screened before they can actually set up shop. Bill Kent, who makes wooden children's toys. The fact that the first year of the arts festival dates back to 1969, a tumultuous year in terms of culture, politics and art, gave organizers various ways to reminisce. That included hiring local freelance artist Chloe Smith, who spent the weekend drawing a mural on the street with colored chalk depicting two icons of the Woodstock festival, Janis Joplin and Jimi Hendrix. Smith wasn’t even born when Woodstock was held, but she did some research and listened to some of the music, and says it was fun hearing from people with a more direct connection. Funds raised during the festival will be used by the Corn Hill Neighbors Association to support community services.